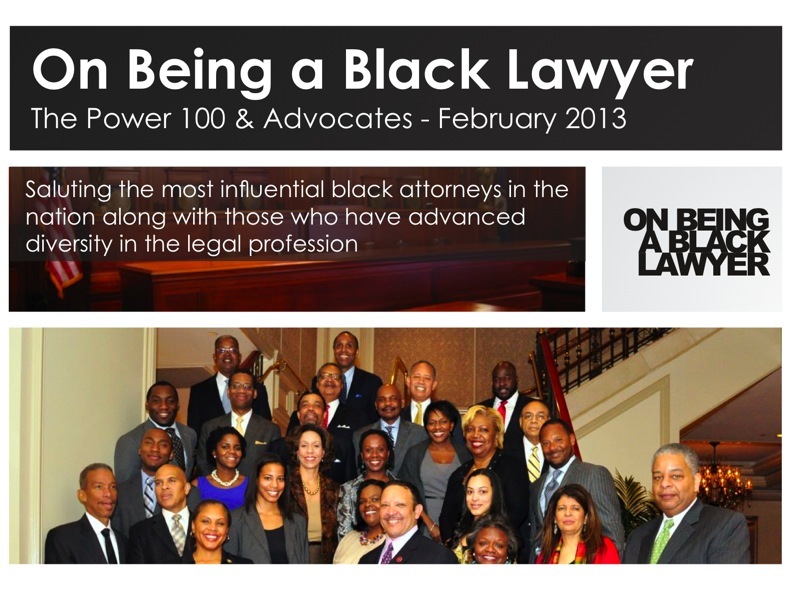 On Being A Black Lawyer is proud to announce the names of The Power 100 Advocates. OBABL’s editorial team made these selections after carefully considering the recommendations of our Power 100 Honorees, who we had asked to nominate non-black attorneys, who have been strong advocates for diversity in the legal profession. For our Inaugural Power 100 our honorees were feted at a cocktail reception at the Ritz-Carlton in Washington, DC. You can see pictures from the affair here. We will continue that tradition. Honorees will also receive a complimentary copy of OBABL’s Power 100 Special Edition (2013), an over-sized, hardcover coffee table book containing profiles of each of our honorees. But don’t worry. OBABL readers will be able to view a digital version of the publication right here. 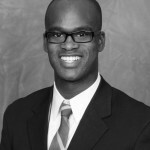 Robert Brager – Beveridge & Diamond, P.C. Bridget M. Healy – ING U.S. This entry was posted in Middle Three and tagged Alex Shumate - Squire Sanders & Dempsey LLP, Anthony Pierce - Akin Gump Strauss Hauer & Feld LLP, Ava Lias-Booker - McGuireWoods LLP, Bakari Brock - Twitter, Bart Williams - Munger, Benjamin Crump - Parks & Crump, Benjamin F. Wilson - Beveridge & Diamond, Billy Hunter - National Basketball Players Association (NBPA), Brett J. Hart - United, Bridget M. Healy - ING U.S., Bruce Jacob - Stetson Univ. College of Law, Bryant Cameron Webb - Loyola University School of Law/Wake Forest University School of Medicine, C. Michael Carter - Dole Food Co Inc., Cassandra Ogden - Council on Legal Education Opportunity (CLEO), Charles Ogletree - Harvard Law School, Clarence Otis Jr. - Darden Restaurants, Dan Neff - Wachtell, David C. Drummond - Google, David Lat - Above The Law, David Sanders - Foley & Lardner LLP, Dean Athornia Steele - The Shepard Broad Law Center, Dean Blake Morant - Wake Forest School of Law, Dean Camille A. Nelson - Suffolk University Law School, Dean Christopher Edley, Dean Craig M. Boise - Cleveland-Marshall College of Law, Dean Dannye Holley - Thurgood Marshall School of Law, Dean David A. Brennen - University of Kentucky College of Law, Dean Denise Spriggs - Charlotte School of Law, Dean Donald M. Lewis - Hamline Law School, Dean Freddie Pitcher - Southern University Law Center, Dean Frederic White - Texas Wesleyan University, Dean George R. Johnson Jr - Elon University School of Law, Dean Joanne Epps - Beasley School of Law Temple Law School, Dean LeRoy Pernell - Florida A&M Law School, Dean Linda Ammons - Widener Law, Dean Makau W. Mutua - SUNY Buffalo Law School, Dean Mark Niles - Seattle University School of Law, Dean Okianer Christian Dark - Howard University School of Law, Dean Penelope Andrews - Albany Law School, Dean Phoebe A. Haddon - University of Maryland School of Law, Dean Phyliss Craig-Taylor - North Carolina Central University School of Law, Dean Vincent Rougeau - Boston College Law School, Dean Willajeanne McLean - University of Connecticut School of Law, Debo P. Adegbile - NAACP Legal Defense and Educational Fund, Debra Lee - BET Networks, DeMaurice Smith - National Football League Players Association, Demetris Cheatham - National Bar Association, Don Liu - Xerox Corporation, Douglas L. Williams - Limited Brands, E. Christopher Johnson - The Thomas M. Cooley Law School, Elizabeth D. Moore - Con Edison, Eric Holder - U.S. Department of Justice, Eva Paterson - Equal Justice Society, Farabow, Frank A. DeCosta III Ph.D. - Finnegan, Garrett & Dunner, Ginene Lewis - Honorable Judge Patrice Tucker, Governor Deval Patrick - The Commonwealth of Massachusetts, Gwenn L. Carr - MetLife, Henderson, Henry Freedman - National Center for Law and Economic Justice, Hinton J. Lucas - Dupont, Inc., Inc. (Retired) Albert O. Cornelison - Halliburton, Ivy Thomas McKinney - Xerox, Jacqueline A. Berrien - U.S. 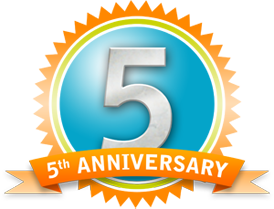 Equal Employment Opportunity Commission (EEOC), James M. Rosenbaum - James M. Rosenbaum, James R. Jenkins - Deere & Company, James T. Breedlove - Praxair, Janine M. Landow-Esser - Quarles & Brady LLP, Jaret Davis - Greenberg Traurig, Jeh Johnson - Department of Defense, John E. Page - National Bar Association/Golden State Foods, John Lovi - Steptoe & Johnson LLP, John W. Daniels Jr. - Quarles & Brady LLP, Jomaire Crawford - Quinn Emanuel, Jordan Thomas - Labaton Sucharow, Joseph Beck - Kilpatrick Townsend, Joseph West - Minority Corporate Counsel Association, Jr. - Arnold & Porter LLP, Jr. - New York State Bar/Legal Aid, Jr. - TIAA-CREF, Jr. - UC Berkeley School of Law, Judy Smith - Smith & Company, Karl Racine - Venable LLP, Kendra Brown - National Black Law Students Association, Kenneth C. Frazier – Merck & Co.Kenneth Chenault – American Express Co., Kenneth Imo - WilmerHale, Kenneth Mack - Harvard Law School, Kim K.W. Rucker - Kraft Foods, Kim Keenan - NAACP National Office, L. Londell McMillan - The North Star Group, Larry D. Thompson - PepsiCo, Laura Neebling - Perkins Coie LLP, Laurie Robinson - CCWC/CBS Corporation, Leondra Kruger - US Department of Justice, Lindsey & Africa, Lipton, LLP, LLP Robert Brager - Beveridge & Diamond, Lois Kimbol - Philadelphia Diversity Law Group, Marc Morial - National Urban League, Martiné "Marty" R. Dunn - Dinsmore, Maurice A. Watson - Husch Blackwell LLP, Max Siegel - USA Track and Field, Mayor Kasim Reed - City of Atlanta, Michael K. Tucker - Avis Budget Group, P.C., P.C. Norman J. Chachkin - NAACP LDF, Paul Eyre - BakerHostetler, Paul Harris - KeyCorp, Paul Williams - Major, Power 100 2013, Raymond McGuire - Citigroup, Reeves Carter - Miss Jessie's, Reginald A. McGahee - Howard University School of Law, Rhonda R. Mims - ING U.S., Rifkind, Robert Grey - LCDC/Hunton & Williams LLP, Roderick A. Palmore - General Mills, Roger W. Ferguson, Rosen & Katz, Rowan D. Wilson - Cravath, Ryan Smith - Turner, S. Jeanine Conley - Baker Hostetler, Seymour W. James, Sherrilyn Ifill - University of Maryland School of Law/NAACP LDF, Sherry Williams - Halliburton, Sheryl Willert - Williams Kastner, Stacey Mobley - Dickstein Shapiro, Stephen Carter - Yale Law School, Sunny Hostin - CNN, Swaine & Moore LLP, Teri P. McClure - UPS, THE EXECUTIVES Vernon Baker - ArvinMeritor, Theodore V. Wells Jr. - Paul, Theresa Cropper - Perkins Coie, Thomas Sager - DuPont, Tolles & Olson LLP, Tracy L. Rich - Guardian, U.S. District Court for the Eastern District of PA, Valerie D. Lewis - The Executive Leadership Council/Safeway Inc., Veta Richardson - Association of Corporate Counsel, Wanda L. Forrest - Credibility International, Weiss, Wharton & Garrison LLP, William E. Cook, William Harker - Sears, William J. Perlstein - WilmerHale by OBABL Staff. Bookmark the permalink.